CONCACAF Gold Cup in Tampa Bay Countdown! 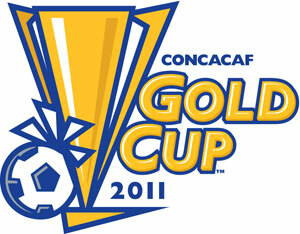 Hey folks, Jerm here with another Tampa Bay Sports update for you on the upcoming CONCACAF Gold Cup here in Tampa Bay! We are about 11 days out now from having some world class soccer on display here in Tampa Bay, as teams from Panama, USA, Canada, and Guadeloupe will descend on Raymond James Stadium for the 2011 CONCACAF Gold Cup! The teams are gearing up in training camps all over the region and will be ready to come out and put on a show for their supporters, so you can rest assured these games will be played at a very high level of intensity, and I for one am looking forward to it! Canada will go head-to-head with Guadeloupe at 6:00pm, followed immediately by USA vs Panama at 8:00pm. If you haven&apos;t already done so, be sure to get your tickets as they are selling fast and you don&apos;t want to miss out on this opportunity to see first hand some world class footballing action! We&apos;ll be dropping more updates on you as we draw closer to the event, so stay tuned in for more updates on Tampa Bay events and be sure to get your tickets!